This Complete Art Studio Set by Daler-Rowney is packed full of student quality art materials to help you get started in any medium you choose. The set is designed around you, so not only can you use everything but you can pack it all away and take it with you, making it ideal for traveling and students. There is no real age range for this set as it is aimed at beginners. Take it on holiday with you and let the whole family use it at the same time. This lovely starter set would make an ideal gift or just a great treat yourself. Showing 3 of our total 4 reviews, with an average rating of 5 stars. 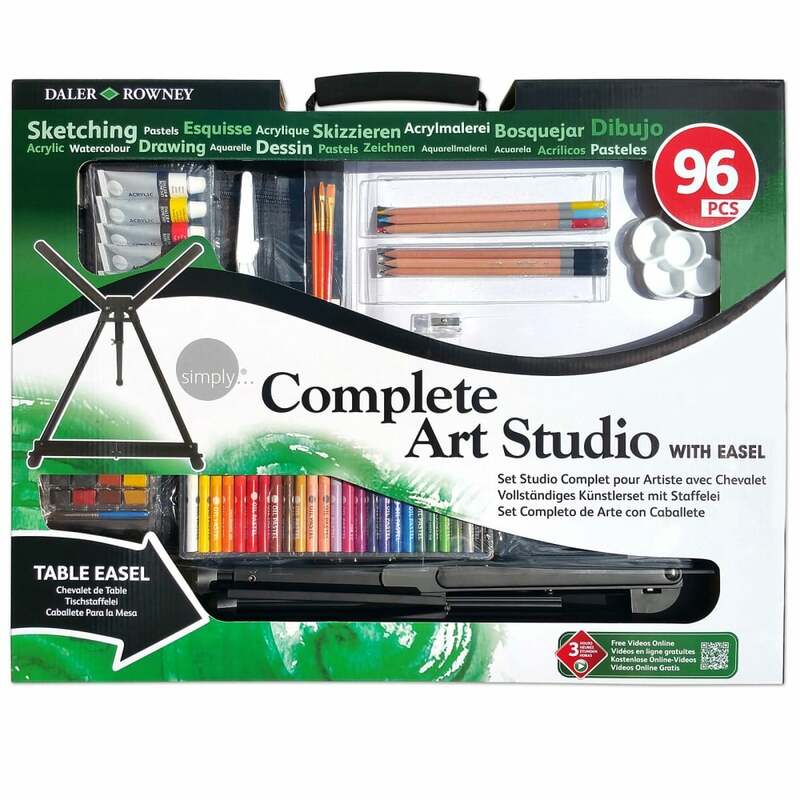 Read all 4 reviews for Daler Rowney Simply Complete Art Studio with Easel 96 pieces***. Bought for my niece as a Christmas present, she took an interest in drawing and painting. This is fantastic product for her to begin with. This is a great basic but comprehensive set for aspiring artists and includes pretty much everything you might need to get started. Excellent value for money - and fast delivery too! Well packed so wrapping it up was easy, good choice of mediums to use, great for a enthusiastic artist who likes to have a go at all sorts of art.